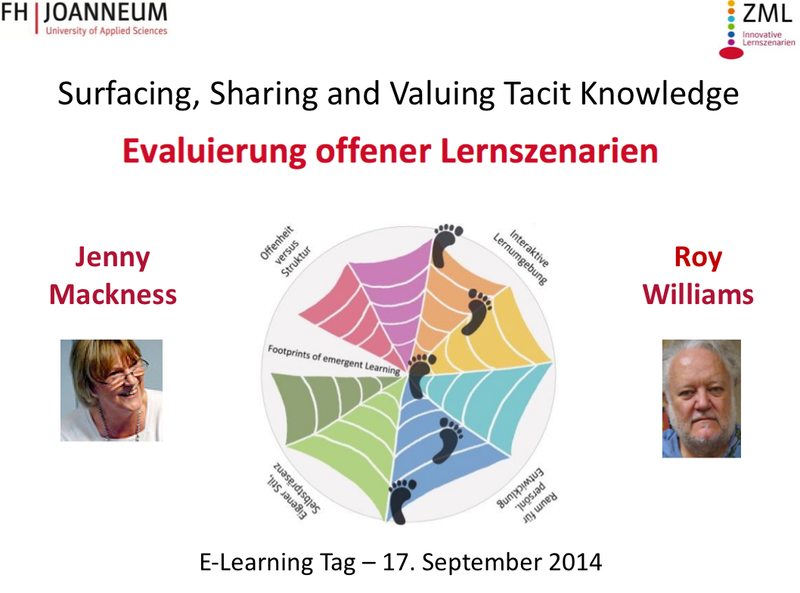 This is the fourth in a series of posts written in preparation for an e-learning conference keynote that Roy Williams and I will be giving on September 17 in Graz, Austria. In the second post in this series I wrote about the 25 factors that we consider to be characteristics of open learning environments. The evidence from our research suggests that the presence or absence of these factors influences the potential for emergent learning in any given environment. We have been asked a few times where this list of factors has come from. Experienced educators recognise the importance of prior learning in developing knowledge and understanding. In retrospect, it is easy to see that a career in education means that this prior learning has often been associated with specific learning theories and theorists, even if this wasn’t consciously recognised at the time. On a personal level, it is interesting to consider which past learning events may have been associated with which learning theories. In the Table below I have attempted to make these links between significant prior learning events in my career and the associated theorists and theories that have probably influenced my thinking about emergent learning. This Table is necessarily a summary overview, but reflects some of the influences on my thinking and therefore the discussions I have had with my colleagues in relation to our work on emergent learning and deciding on a list of factors. It is not that we sat down, drew up a list of theories and from these decided on the factors. At the start of this work we drew on our very recent experience of participating in CCK08 (Connectivism and Connective Knowledge MOOC, 2008) and on our experience of autonomy, diversity, openness and connectivity within it. These are the four key principles of learning in a network, which Stephen Downes introduced us to in CCK08. As we shared and discussed our experience, we recognised that we were describing it in more detailed terms than the four principles for networked learning. We realised that the language we were using to describe this experience reflected our past experience and knowledge of theorists and theory. Discussion also included how to cluster these factors. Pragmatically, and after some testing of different ideas and numbers of clusters, we knew that in order to draw the Footprints of emergence (see the second post in this series for an explanation and example of a ‘footprint’) it would make sense to organise them into four clusters. This works well. We have two clusters that relate to the learning environment – Open/Structure and Interactive Environment; the other two clusters relate to the learner – Agency and Presence/Writing. The clusters and factors have been tested and refined many times, with different groups of learners in different learning environments. The most difficult aspect of this work has been to develop concise descriptions and associated questions, which we hope will support people who use the Footprints of Emergence framework to reflect on their learning in different learning environments. I like this approach to research, Jenny. Let the walking determine the path, let the terrain have its input. Too much research, I think, picks a tool and then makes the data fit the tool. That tends to destroy emergence. That’s a nice way of putting it Keith. I agree. But I haven’t ‘let the walking determine the path’ through intention. It has just happened – and I have realised this through ongoing reflection. Jenny Connected by Jenny Mackness is licensed under a Creative Commons Attribution-NonCommercial-ShareAlike 4.0 International License.